WASHINGTON (July 08, 2011) -- "There was a little bit of a meat skirt, for lack of better words, hanging around the edges. It was oozing. I could see the radius and ulna bone sticking up maybe about half an inch." Sgt. 1st Class Leroy Petry, had the Medal of Honor placed around his neck July 12, 2011, by the president of the United States. 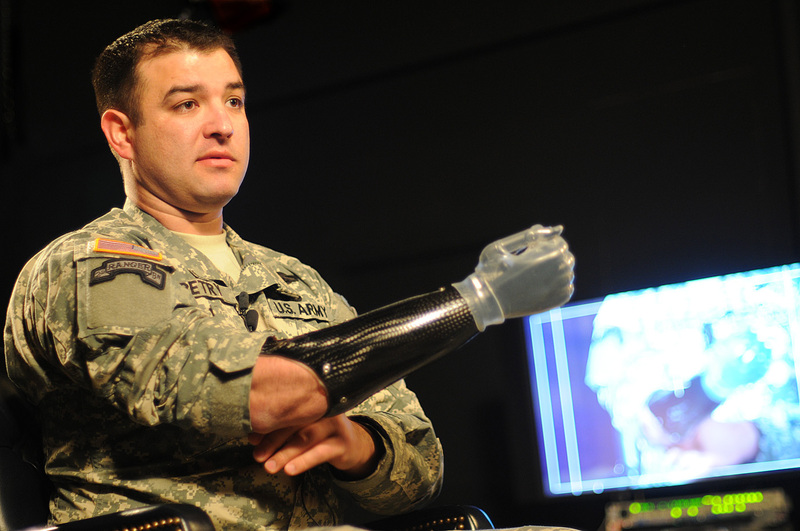 During an interview March 30, 2011, he recounted the moment after his hand was taken from him by a grenade during a May 26, 2008, combat operation in Afghanistan. "When I actually got back it was great, I got back on Easter day," he said. "I got to have fun with the kids. It was special."